EQA 2: Rift Valley fever virus (RVFV) antibodies and genetic material in infected animals' samples by ELISA and by PCR techniques. Commercial ELISA kits for detection of WNV and RVFV antibodies. In November 2016, a proficiency test panel organised by WHO and RCPAQAP (Australian company) for the molecular detection of Zika, Chikungunya, dengue and yellow fever virus (last is optional) has also been promoted within the human virology network and most of the laboratories have agreed to participate. The test results of these EQAs have been restituted and the result analysis will soon be communicated. 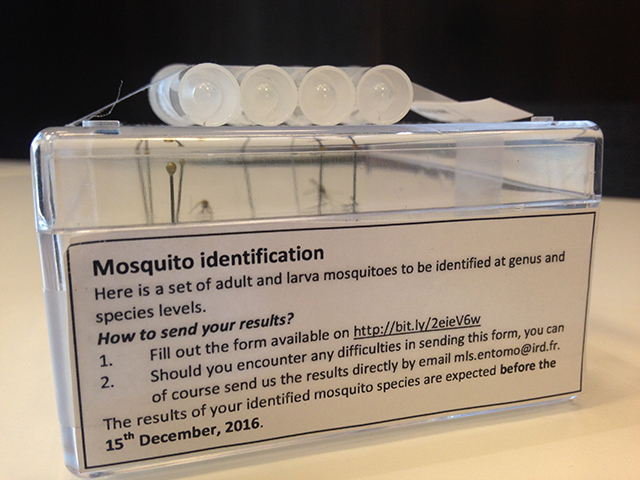 The first round of EQAs for identification of mosquitoes has started in November 2016. 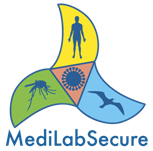 During the MediLabsecure regional meeting organized in Belgrade, participants from the entomology laboratories of the 11 countries present at the meeting were handed a set of mosquitoes (adults and larvae) to identify at both genus and species levels. The second round of EQAs has started in July 2017. 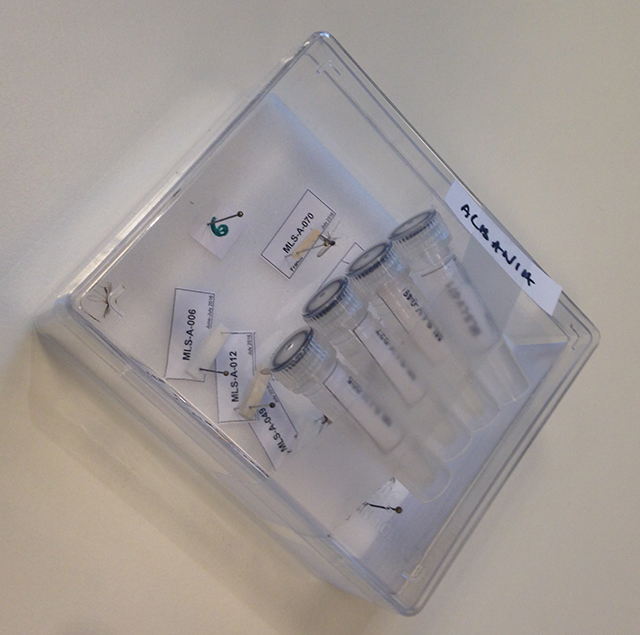 The representatives from 8 entomology laboratories present at the second regional meeting of the project, held in Tunis were handed their respective set of mosquitoes (adults and larvae) to identify at both genus and species levels. The results of this secound round of EQAs have been restituted and are available here.